Please complete the below form in as much detail as possible and click submit. The MyPlanner Adviser Services team will contact you on receipt and discuss with you your transition to us as soon as we receive it. We look forward to welcoming you to the MyPlanner family soon. Please complete the following information about the Company so we can lodge the Company as an Authorised Representative. Has the business ever been refused professional indemnity cover? Are you aware of any current claims or potential future claims against the business? Have you had any agreement cancelled whilst operating under the current or previous Licensee? Are the financial planning activities exclusive to MyPlanner Australia? 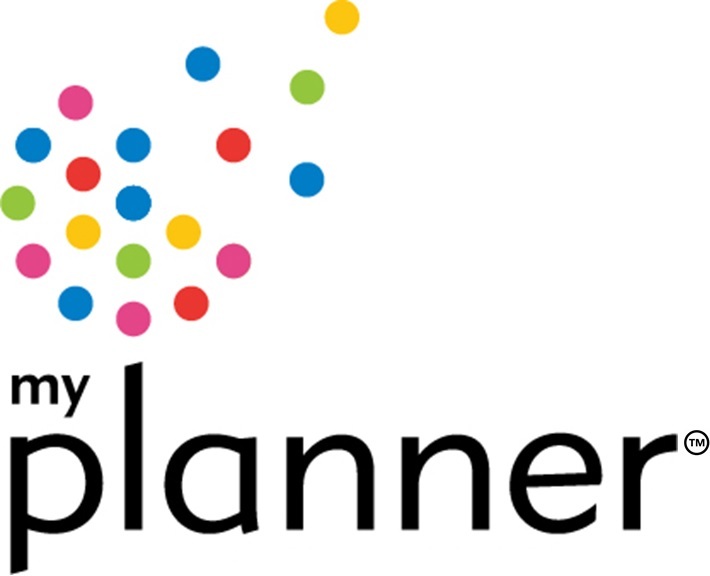 Do you wish for MyPlanner to discuss with you the printing of your stationery? Will you be receiving a release or transfer letter from your previous Licensee? How would you like your Adviser codes established? What software do you use for financial planning? Do you need a conversion from your current software to MyPlanner software? Please complete as much as detail about the individual the individual that is being lodged as the Representative. Continue with as much detail as possible and MyPlanner will contact you for clarification if required. Have you been refused the right or restricted in right to carry on any trade, business or profession for which a specific licence, registration, proper authority or other authorisation is required by law in any place? Have you ever had your authority to act as a Proper Authority Holder or Authorised Representative terminated by any Dealer, Broker or Licensee? Have you been refused membership of any professional body or organisation? Are you known by any name other than the name or names shown in this application? Have you been named as a defendant or respondent in any criminal, civil or administrative proceedings? Have you ever been convicted of an offence, other than a traffic offence, or are there any proceedings now pending that may lead to such a conviction? Have you ever had a judgement including findings in relation to fraud, misrepresentation or dishonesty given against you in any civil proceedings? Have you been involved in any bankruptcy proceedings or propose/have entered into any moratorium, composition or other arrangement for the suspension of debts or for the benefit of creditors generally? Are you aware of any client complaints involving you or notifications of any circumstances which may give rise, or has given rise, to a claim for compensation? Have you ever been investigated by ASIC at any time in the past, or currently subject to an investigation or inquiry being conducted by ASIC or any other regulatory body? Do you have any reason to believe you may be subject to an ASIC investigation or surveillance in the near future? Have you been banned by ASIC from acting in any capacity as a director or authorised officer of any company? Do you currently have any unresolved complaints or issues with any client, your present Licensee, past Licensee, or FOS/COSL? Are you aware of any current inquiry or investigation that is ongoing and relates to issues of your character, competence or conduct? Have you been nominated and currently hold any form of Power of Attorney (Limited/Enduring) (excluding immediate family)? Have you been nominated as Executor/Executrix for any person (excluding immediate family)? Does the firm perform work outside Australia or New Zealand, or work for clients outside Australia or New Zealand? Have you ever been refused PI cover? Are your activities exclusive to MyPlanner? Have you ever had any agreement cancelled whilst operating under the current or previous licensing arrangement? Do you have any clients with margin lending? Do you have any clients with tax effective investments (i.e. agribusiness)? Do you have any clients with structured products (i.e. HFA)? If you answered yes to any of the above, please detail here. MyPlanner needs 100 points of identification to enable us to complete the relevant checks required. Please upload any of the documents as noted below. An essential part of the application process is checking to see if you are a "fit and proper" person as defined by ASIC. One of the best ways for us to do this is by completing independent reference checks. Please provide us with 3 referees. These can be personal, clients, fund managers, referral sources or others you may deal with on a regular basis but must not be family or employees. How would you like us to contact this referee? The previous Licensee as noted below will not be contacted until you advise us to do so. What services would you like included in your FSG? Your Statement of Advice Fees start from what price? Your Implementation Fees start fro what price? Your Ongoing Service Fees start from what price? What are your claim management fees? Other fees you would like us to note? Completing this section will allow MyPlanner to provide you with Recipient Created Tax Invoices (RCTI's) for each deposit we receive on your behalf. These RCTI's will be emailed to you following the MyPlanner revenue policy. MyPlanner and the Representative agrees that"
My Planner can issue RCTI's in respect of any supplies made by the Representative to MyPlanner. The Representative will not issue a tax invoice in respect of any supplies made by the Representative to MyPlanner. MyPlanner agreed to notify the Representative if it ceases to satisfy any of the requirements for issuing a RCTI. MyPlanner will not issue a document that would otherwise be a RCTI on or after the date when either MyPlanner or the Representative fails to satisfy any of the requirements for issuing RCTI's. I/We hereby apply to MyPlanner to be appointed as an Authorised Representative. I/We understand that the information that has been provided in this application is to be used only for the purpose of the application, and that MyPlanner will be relying upon the information given, but that the information will be held in confidence and will not be used for any other purpose without express approval. Fulful my commitment to regular continuing professional development in accordance with the current requirements of MyPlanner. Abide by any conditions and limitations placed upon the Certificate of Authorisation by MyPlanner. That it will be a condition that I will not hold an authorisation with or otherwise act as an Authorised Representative of any other Licensee. W/We also agree that it will be a condition of the issuing the Representative Status that a written Authorised Representative Agreement will be in force between MyPlanner and the Representative(s), and that while the Representative holds an Authority from MyPlanner it will not hold an authority from or otherwise act as a Representative of any other Licensee. I/We authorise MyPlanner to carry out any credit and personal reference checks as deemed necessary for this appointment. I/We are aware that incomplete, inaccurate or misleading information (or ommission) may result in the application being rejected, disciplinary action or dismissal. I/We undertake to inform you, in a timely manner, of any significant change in the noted circumstances that results in any other information prviously provided becoming out of date, incomplete or inaccurate. The above statements are made in respect of the application and Iwe declare them to be true and correct. If possible, please attach as many of the items listed below when submitting your application. It is best to scan these in a black and white version to reduce the file size. The maximum file size you can upload is 3MB. Please feel free to discuss with MyPlanner if collecting this information is going to cause you difficulty or delay. To finalise the form, please click "submit" below. If you have any queries in the meantime please contact our Adviser Services Manager at adviserservices@myplanner.com.au or Philippa Sheehan at md@myplanner.com.au. We look forward to welcoming you to the family soon.